The benefits of chia seeds are a bit controversial. I have read reports that did not prove chia seeds were beneficial to weight loss but many do claim it is a great superfood for weight loss. What’s a girl to believe? I thought, I should give them a try myself! I bought a bag of chia seeds a while back at Costco, added them into my yogurt a for a while, but one day I just stopped reaching for them. Not for any particular reason except that sometimes we can feel overloaded with all of the little things to make sure we have in our daily diet, right? Almost every morning I have oatmeal after my workout. The bag of chia seeds is on the shelf, right behind my dry oatmeal. Last week, I decided to give the little guys another try. I’ve been adding about a tablespoon of chia seeds into my oatmeal, along with coconut oil, and my fruit. Wow, I really can feel the difference in my appetite for about 4 hours. I stay full for much longer than I did without the chia seeds. Not being hungry is half the battle, right? Especially when it’s summer, kids are home, junk food inventory is at it’s highest. I plan to add in another tablespoon into my daily diet, maybe in my yogurt again? I haven’t decided yet. Well, really, I forget when I am eating my yogurt and granola. It’s definitely worth remembering though. Also worth trying some of the fabulous looking recipes I’ve seen all over the place with them. 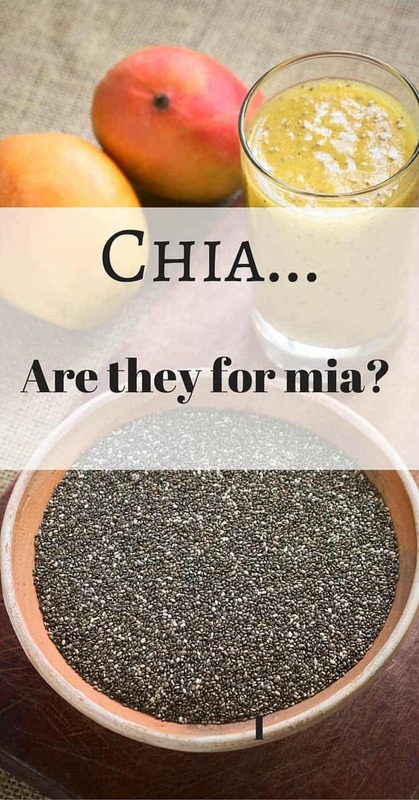 Maybe you are wondering what exactly is a chia seed? That looks pretty cool, but what does that mean for us, really? Fiber – This is what keeps us full longer and keeps us out of the pantry looking for a snack. Those tiny seeds expand after eating or when soaked in a liquid such as those overnight oat recipes you may have seen all over the place. Low-Carbs – As seen above, while at first glance chia seeds seem to be high in carbs, almost all of the carbs are fiber. Our body loves fiber. It keeps our gut healthy and keeps us feeling more fuller longer. 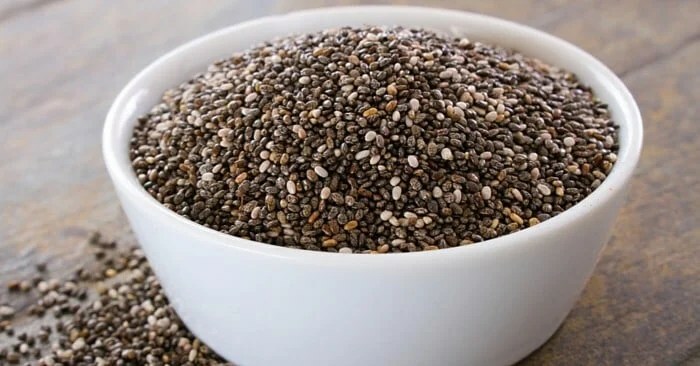 Protein – For the amount, a couple of tablespoons of chia seeds packs a lot of protein – much more than other plants. Protein is great for muscle restoration and weight loss. When used in combination with other healthy lifestyle choices such as good nutrition and exercise, the benefits of chia seeds to your daily nutrition are well worth taking an extra second to grab off the shelf. Not only are there many benefits of chia seeds, there are also many different ways to add them to your daily nutrition. Like mentioned previously, you can sprinkle them into whatever you are eating, such as oatmeal or yogurt. There are tons of overnight oatmeal recipes that include chia seeds all over the web. If you are a smoothie drinker, mix 1/3 cup of chia seeds to 2 cups of water to store in your fridge. After about 10 min, the chia seeds and water form into a gel that can be added by spoonful to your smoothies. It will stay good for about 3 weeks. The benefits of chia seeds are truly amazing. I am regretting letting them sit on my shelf neglected for so long. They will definitely be a favorite part of my daily diet from now on. What’s your favorite way to use chia seeds? Share your favorite recipe! If you aren’t in our Fit Found Me’s Facebook group, make sure to pop over and join today! We are having loads of fun sharing successes, answering questions and supporting one another in this “fun” losing weight over 40 era. Thanks so much for all the above. It’s a template for all the other info spots I would love to find. body with flavonoids from food sources apart from caffeine. ourselves to find out how your body reply to our life style, the higher we can customize a nutrition and workout plan that’s right for us.